Plant Based All natural ingredients. - Can also assist with dry scalp. - Infused with an essential oil blend of ROSEMARY & PEPPERMINT which provide a subtle lingering freshness. 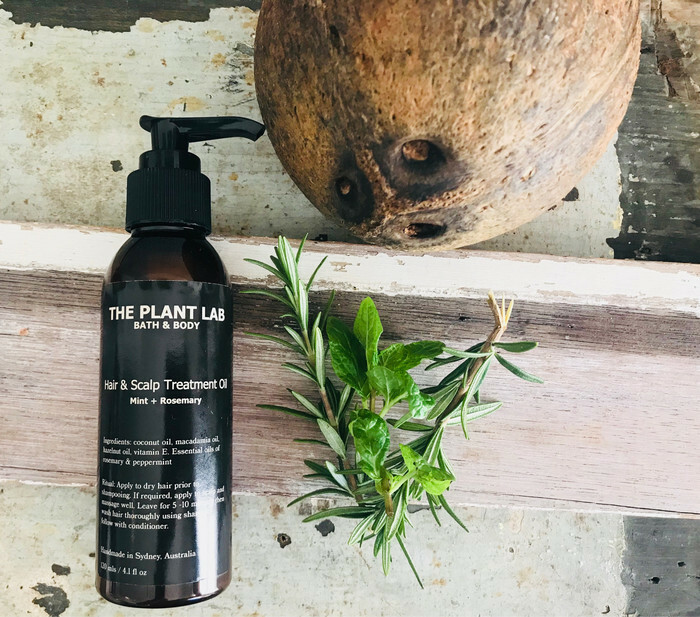 Today, scientific research is uncovering plenty of evidence that this natural oil not only enhances the appearance of hair but also promotes its healthy growth and development. Rich in fatty acids like lauric acid and linoleic acid & nutrients like vitamin E & vitamin K. Vitamin E is particularly effective in eradicating dandruff, which is a major cause of hair fall and hindered hair growth. The antioxidant, antifungal, antibacterial and antiviral properties found in coconut oil make it the prime candidate for keeping hair healthy. Is highly rich with the vitamins and nutrients & the highly concentrated mono-unsaturated fats in the oil help protect the hair and scalp from damage. The high absorption and deep penetration of the hair and scalp & vitamin E contained in the macadamia oil help hair to soften and rejuvenate. Hazelnut oil is a nourishing oil for hair and scalp care, and is a powerhouse of fatty acids, proteins, and vitamins. It has been known to condition the hair, provide nutrients and reduce static. Great for using on colored hair as it may assist with retaining hair color. Do not wet hair, apply and massage the treatment oil onto dry hair and scalp, concentrating on the ends. Massage in well. Wrap hair or place a shower cap over head, leave for 20 minutes or longer. Wash hair thoroughly using shampoo then follow with conditioner. Hair oil can be applied conveniently while showering. Apply as above onto dry hair, (prior to shampooing). Leave for at least 5 minutes. Wash out with your regular shampoo and follow with conditioner afterward. My handmade caps are made by me. To use, I simply wrap my hair up in a shower cap after applying the HAIR & SCALP TREATMENT OIL. This allows the oils to penetrate the hair and scalp more effectively. Before using this product, please review ingredients listed for possible allergic reactions. This product is not intended to diagnose, cure or treat any disease.